A legend of the West, Wild Bill Hickock is buried in Mount Moriah Cemetery in Deadwood, South Dakota. 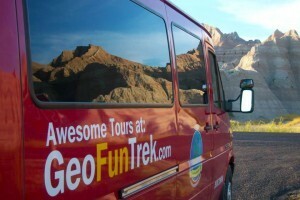 A very informative and exciting tour through the beautiful Deadwood and Mt. Moriah Cemetery. Wild Bill Hickock is one of the Wild West’s seminal figures. 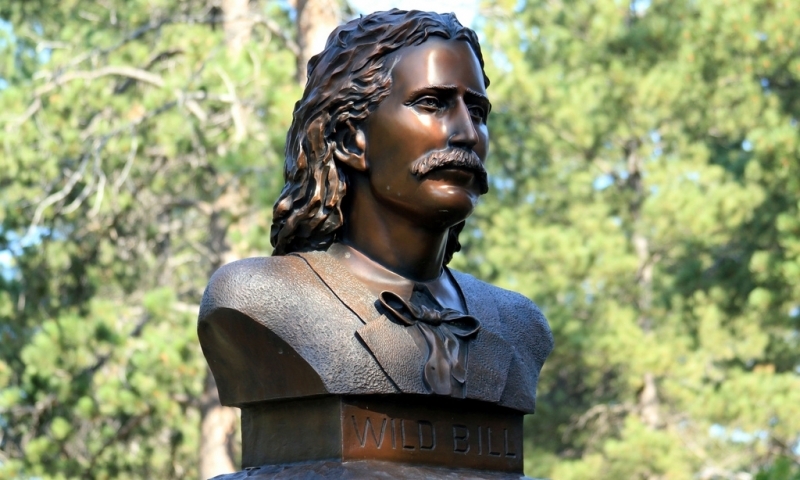 Wild Bill’s grave is located in Mount Moriah Cemetery in Deadwood, South Dakota, along with the graves of Calamity Jane, Seth Bullock and others. $2 entry fee for 12 and older., open year-round. Instantly becoming a popular tourist attraction after his burial in 1876, Wild Bill Hickok's grave has since attracted millions of tourists to Deadwood, South Dakota. Wild Bill Hickok is just one of the many well known historical figures who are laid to rest at the Mount Moriah Cemetery. Calamity Jane lies next to Wild Bill, while Seth Bullock and Dora Dufran are buried nearby. While you walk among these gravestones, one thing is for sure – you'll truly be in the presence of Wild West legends and myths. Born in 1837 as James Butler Hickok, Wild Bill earned his nickname with his expert gunman skills and became widely known throughout the West after being his shootouts with the McCanles gang and other outlaws. After serving as a stagecoach driver and lawman, he eventually became an army scout and a professional gambler. From 1872-1873, Wild Bill Hickok toured with Buffalo Bill's Wild West show where he befriended Calamity Jane. While passing through Deadwood, South Dakota, Hickok stopped by Nuttall and Mann's Saloon to play a hand of poker. He met his death in the saloon by a bullet to the back of his head and has remained in Deadwood ever since. Circumstances surrounding his death are debatable; some claim he was killed in revenge for a dispute earlier that day, while others claim a hit man was hired to abruptly end his life. Mount Moriah Cemetery is located on the eastern edge of Deadwood. From US-85, go east on Cemetery St., take a left on Lincoln Avenue, which become Mt. Moriah Dr. The cemetery is located on Mt. Moriah Dr.
Mount Moriah Cemetery is open year-round. There is a $2 entry fee for anyone 12 and older to enter the cemetery.